Gil Gamesh, the only pitcher who ever literally tried to kill the umpire. The ex-con first baseman, John Baal, "The Babe Ruth of the Big House," who never hit a home run sober. If you've never heard of them—or of the Ruppert Mundys, the only homeless big-league ball team in American history—it's because of the Communist plot, and the capitalist scandal, that expunged the entire Patriot League from baseball memory. 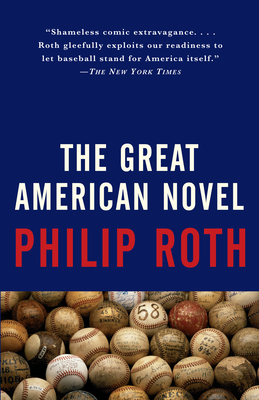 In this ribald, richly imagined, and wickedly satiric novel, Roth turns baseball's status as national pastime and myth into an occasion for unfettered picaresque farce, replete with heroism and perfidy, ebullient wordplay and a cast of characters that includes the House Un-American Activities Committee.